Generally speaking, there is not one answer for the cause of the Great Depression, there are a ton of factors concerning why such a prosperous economy came to a drastic downfall so quickly. The Stock Market Crash in October of 1929, confirmed that economic conditions in the United States had reached a time of intense danger, and something had to be done. During the 1920's there was very little national economic planning or any form of active government supervision in the economy, which is one of the key factors that influenced all the other factors such as, over valued stocks, The Installment Plan, and more. The lack of regulation came from the "laissez faire (Leave it alone; let it be)" philosophy, started by Warren G. Harding, Calvin Coolidge, and Herbert Hoover. The philosophy states that government control was relatively low. These presidents did not attempt to regulate, banking, stocks, bonds, or other basic aspects of the economy. Another issue was, the presidents did not analyze statistics that showed stock market investing, agriculture, international finance, and buildup of inventories of consumer goods. Therefore, they were not aware of the troubles approaching the country. Economic growth in the 1920's was slightly relieved by three recessions. According to the National Bureau of Economic Research (NBER) business cycle chronology, two of these recessions were from May 1923 through July 1924 and October 1926 through November 1927. Both of these recessions were very mild and unremarkable. In contrast, the 1920s began with a recession lasting 18 months from the peak in January 1920 until the trough of July 1921. Original estimates of real GNP from the Commerce Department showed that real GNP fell 8 percent between 1919 and 1920 and another 7 percent between 1920 and 1921 (Romer, 1988). The behavior of prices contributed to the naming of this recession “the Depression of 1921,” as the implicit price deflator for GNP fell 16 percent and the Bureau of Labor Statistics wholesale price index fell 46 percent between 1920 and 1921. Although thought to be severe, Romer (1988) has argued that the so-called “postwar depression” was not as severe as once thought. While the deflation from war-time prices was substantial, revised estimates of real GNP show falls in output of only 1 percent between 1919 and 1920 and 2 percent between 1920 and 1921. Romer (1988).The supply shock of products was important, particularly, the production of agricultural goods, and significant decreases in the prices of imported primary goods. Overall, the outcome is that the growth path of production was hardly delayed by the three minor downturns, so that the decade of the 1920s can properly be viewed economically as a very healthy period, but later resulted in tragic events. A "depression" is an economic slow down. Depressions usually occur after a period of long economic growth causing more people wanting to invest, which leads prices to go up, often times more than their real value. Once the value peaks, the price begins to go down again. The people who invested, panic and try to sell the item before the price drops below what they paid, causing the market to flood. When the market floods, the value goes down even more. As a result of the flooded market, there is no reason to produce more products, so production becomes low and limited. Less work is needed, so many people are left unemployed, which decreases the amount of money people can spend. Less consumer income causes people to pay attention and be more cautious on how they spend their money. When large amounts of people are spending less amounts of money, the demand for products decreases. Once again, less production means more unemployment. A "depression" is an ongoing cycle that feeds on itself in a downward spiral. In the 1920's, people were celebrating the end of the war. Technology and production had increased to help the war effort. Radios, appliances, cars, and so much more were put onto the market. Everything that once was luxiorious, turned into a necessity. Americans started buying on credit, spending money they didn't have in order to purchase these products. 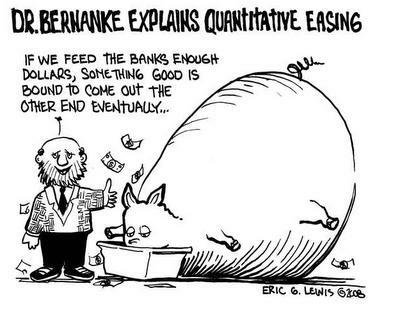 Banks were happy giving people the money they wanted until, people realized stocks were increasing. As stocks increased, people began putting all the money they had into these stocks. When the stock market crashed on October 24th, 1929, people lost all of that money. Individuals who didn't invest in stocks had been impacted as well because the banks did not have money to pay for the invests in stocks, so they had used other peoples savings money to pay for this (America's Decades, The 1930's). When the market crashed, those savings were also lost. To attempt to fix this, banks began calling back loans. Everything that was bought on credit, had to be paid back. Many Americans did not have the money to pay back their loans, so thousands of banks were running short and failing. Clearly, most Americans were poor. 6 out of every 10 families had incomes of less than $2,000 a year, which barely provided them with the basic needs of life. Only 3 out of every hundred families had income of over $10,000 a year. There was a very small group of wealthy individuals, and their money was spent on food, rent, clothing, and some cash even provided the producers of luxury goods. As soon as the stock market collapsed, the wealthy stopped buying luxuries. Many businesses depended greatly on these wealthy Americans and when their funding stopped, they panicked and created holding companies. Holding companies held the ownership of corporations and it may provide the direction and management to its companies to whose stock it holds. It was considered "the wold's safest investment", created by Samuel Insull. The idea was when one top holding company sold bonds and stocks an used that money to buy up enough stock of existing companies to control them. To raise more money, second holding companies were created, third, fourth, and so on. The idea failed once the stock market crashed because there was no more cash customers to buy the security. They could not meet their high interest and they collapsed. Holding companies took all their earnings and bought expensive equipment and machinery with them, instead of what was usually done, expanding operations. This led to fewer products needed for the factories and less employment (America's Decades: The 1930's). The congressional elections in 1930 reduced the Republicans in the House of Representatives to a majority of just six, and their majority in the Senate was reduced to one. At the end of the year, calls for more government action increased. Congress passed a law distributing 116 million dollars for public works and 45 million for drought relief. The government was aiming at a balanced budget, while Hoover spoke of the public works project as a "new experiment in our economic life" and "advance in economic thought and a service to our people." Stocks went down by about 40% by the end of 1930. Many predicted that the depression would be over at this point, instead stocks declined continually in value throughout the year (The Great Depression, To 1935). During The Great Depression, federal government feared that cheapening money (increasing money supply) would further weaken the economy. Both Congress and President Hoover opposed the idea of creating an unbalanced budget. They believed that unbalanced budgets and rising government debt slowed business recovery and that unbalanced budgets were a threat to the credit of the federal government (The Great Depression, To 1935). 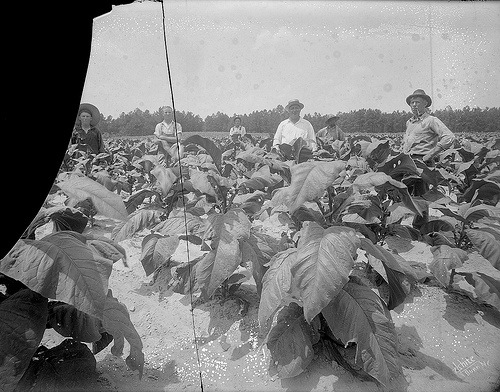 Agriculture during The Great Depression was rough. After undergoing a drought for nearly a decade times were tough for farmers and families working in the agricultural industry. Many crops were damaged by the lack of rainfall, high temperatures, and high winds, as well as insect infestations and dust storms that accompanied these conditions. The agricultural depression during The Dust Bowl contributed to The Great Depression as a whole, as well. It effected bank closures, business losses, increased unemployment, and other physical and emotional hardships for families (Drought In The Dust Bowl Needs). Farmers had nothing to feed their live stock, along with no crops to sell. Banks were no longer issuing credit, therefore they could not purchase food for their animals. Farmers were very short on money because as a result of the drought, their crops had failed. During the drought, the fields had dried up, turned to dust, and blown away. Over a hundred million acres of land were destroyed. After the drought, farmers began producing more crops than they had produced before. Hypothetically speaking, this would have been a good idea, but American families did not have the money to buy crops. Farmers began to lower their prices as a result of the over production. For instance, the price of cotton in 1919 was over 30 cents. After the over production and lack of business the price plummeted down to less than 6 cents in 1931 (Agriculture in North Carolina During The Great Depression). Farmers were quickly falling more and more into debt. The stress of The Great Depression was so severe and tragic, many farmers ended up not being able to provide for their families at all and ended up committing suicide. How was the rest of the world impacted by The Great Depression? After World War I, the United States was seen as a world leader. The United States was being blamed for cutting back on imports. "Many believed that a sound recovery would come only by the government leaving the economy alone. They believed in a natural process of liquidation -- the ruination of the weak and the survival of the efficient. And, indeed, the U.S. economy bottomed in 1932. Things could only get so bad in a society not engaged in a civil or international war" (The Great Depression, to 1935). Many Americans had limited their spending amounts greatly, and only spending money when it was absolutely necessary, such as purchasing food. Since the demand for other products decreased, manufacturers and merchandisers noticed a rise of products in their inventories, so they lessened the prices. The prices of some items were already beginning to fall with international trade, as well. Asia, Africa, and Latin America had capacities that indicated they could buy from the U.S with a reduced price, because the United States public did not have the money to purchase these products, at the time of such despair. Not only did the decline in products impact the United States, but it also affected the rest of the world. The Gold Exchange Standard was a commitment by participating countries to fix the prices of their domestic currencies in terms of a specified amount of gold. National money and other forms of money (bank deposits and notes) were freely converted into gold at the fixed price, as well. Countries were able to hold gold, dollars, or pounds as reserves, except for the United States and the United Kingdom. In 1931, Britain departured from gold. In 1933, President Franklin D. Roosevelt nationalized gold owned by private citizens and abolished contracts in which payment was gold. Between 1946 and 1971, countries operated under the Bretton Woods system. Under this modified version of the gold standard, most countries settled their international balances in U.S. dollars. The U.S. government promised to compensate other central banks’ holdings of dollars for gold at a fixed rate of thirty-five dollars per ounce. The shortage steadily reduced U.S. gold reserves. Along with that, the U.S had also lost the confidence in the ability of redeeming its currency in gold. Finally, on August 15, 1971, President Richard M. Nixon announced that the United States would no longer redeem currency for gold. This was the last and final step in discontinuing the gold standard (Gold Standard: The Concise Encyclopedia of Economics).